The answer is, No way. If every individual truly felt love for his or her fellow human beings the way Baha’u’llah envisioned, the global economy would be unrecognizably better than it is today. To picture this is to picture a world with, among other things: enormous savings from reduced military budgets, to be spent instead either on other needed public purposes or put back in the pocket of taxpayers; an immense rise in the level of trust among individuals and businesses transacting with one another, creating new opportunities for value which dishonesty and selfishness render too risky; the opening up of huge pools of productive labor in places where women are either not free to work, uneducated, or both; the reduction of the consumption frenzy by those with a disposition to spend and consume themselves, without satisfaction, into personal debt and despair; and the creation of new informal institutions for “consumption smoothing” (essentially, neighbors helping each other out when in need) to ease the pain of economic hardship. We are no where near understanding these benefits or how radically they might change our economic lives. Nonetheless, when ‘Abdu’l-Baha speaks of “the Science of the Love of God”, I think he is talking about much more than just the increase in the feeling of love and harmony among human beings, which alone can exert a huge positive effect on our collective fortunes. I think the fact that he uses the word science is revealing, and I think it is a reference to the painstaking process of collective decision-making that the human race needs to selflessly and cooperatively embark upon, a process that can’t quite work without a deep, spiritual love as a prerequisite. In plain words, the feeling of love among the world isn’t enough; that feeling needs to be put into action in the form of policies, technologies, institutions, etc. That’s why, a few months ago when I saw posters for something called “Earth Hour” around my office, I didn’t quite know what to think. Earth Hour is a global movement for participants around the globe to turn off their lights for one hour, all at the same time. (It’s more well known cousin, of course, is Earth Day, which just passed.) It’s a project that’s been spearheaded by the World Wildlife Fund since 2008, and aims to make a statement about conservation and the seriousness of climate change. 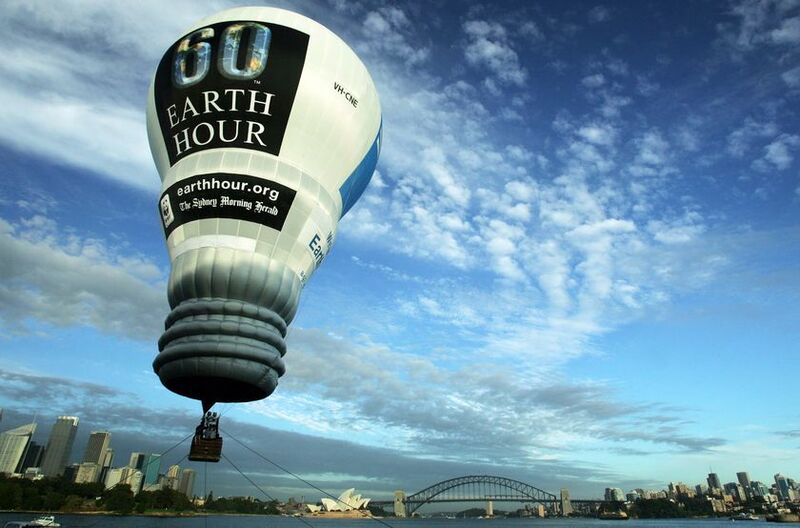 On its surface, I see Earth Hour as a reflection of the best of the human spirit. It signifies that people are willing to come together for and cooperate for a global cause, in this case preventing disastrous global warming. But there is something about Earth Hour, and movements like it, that worries me. It’s the notion that small individual efforts, if widespread enough, can solve massive global problems. They can’t. (Another example is the “Do one thing” idea, promoted by the Alliance for Climate Education and others, promoting the idea that we should all do one thing to help the environment.) Shutting off our lights more often, turning the thermostat down a couple of degrees, not running the water while brushing our teeth, driving a hybrid instead of an SUV, recycling our cans and bottles, etc… serious environmentalists recognize the fallacy that these things can somehow avert environmental disaster. The hard-to-swallow reality is that a solution to climate change, for instance, is much more painful, complex, and politically tricky than we in our comfortable lives would like to believe. It involves hard decisions about incentivizing cleaner energy options, dramatically raising the cost of coal and oil, or pumping huge amounts of public money into technology to take carbon out of our atmosphere and oceans. Without a doubt, “Do one thing” campaigns are part of healing our collective disease. But they’re a bandage, not a life-saving surgery. The question is: Do these types of campaigns have a positive effect by simply raising the level of global awareness and spirit of cooperation? If that is the case, one could argue that they help create conditions for actual lasting solutions. To be fair, building awareness is actually the real intended point of Earth Hour, not to actually make a serious dent in carbon emissions. But I wonder if they are actually counterproductive, in that they give us a false sense of comfort and distract us from the tough choices and hard work that are necessary.